The Sales of the notebooks have exceeded further than expected in this season, as reported in a research report by the NPD Group. The last two weeks of August have recorded a massive sale though there was a very low sale reported earlier this summer and even at the beginning of the year. 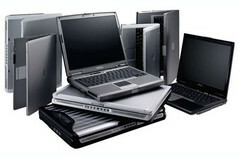 Now with Macs starting at a range from around $999, the Windows notebooks are reported to be seeing a good sale. This is really not surprising as people definitely go for a lower price. During the time of financial crisis the low prices factor means a lot too. Recently the market of the tablets has grown a lot and the population attracted towards these tablets are still increasing. There were also some suggestions flowing as the tablets can perform all the tasks like a computer and are also the best for the students in the context of their portability as well as the requirements of students. Though with all this they are really showing a great pace of sales in the markets. But they really cannot replace a computer system. I am quite sure most of the customers who have got a tablet with him but still prefer to use a notebook or a real computer. Many of them even might have thought of getting a notebook even after buying one tablet. May it be the price factor or may it be the comfortability of the notebooks over the tablets but the increase in sales of the notebooks once again might have made manufacturers and retailers happy. This is really good news as even after a revolution brought by tablets people moved back to the basics.